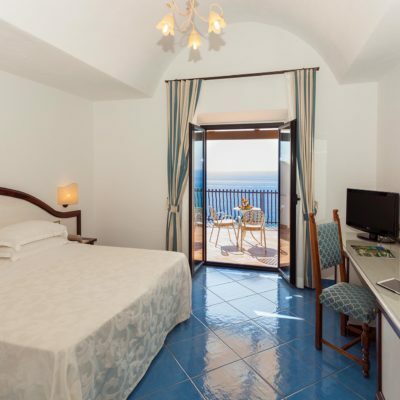 We loved every single minute spent here. 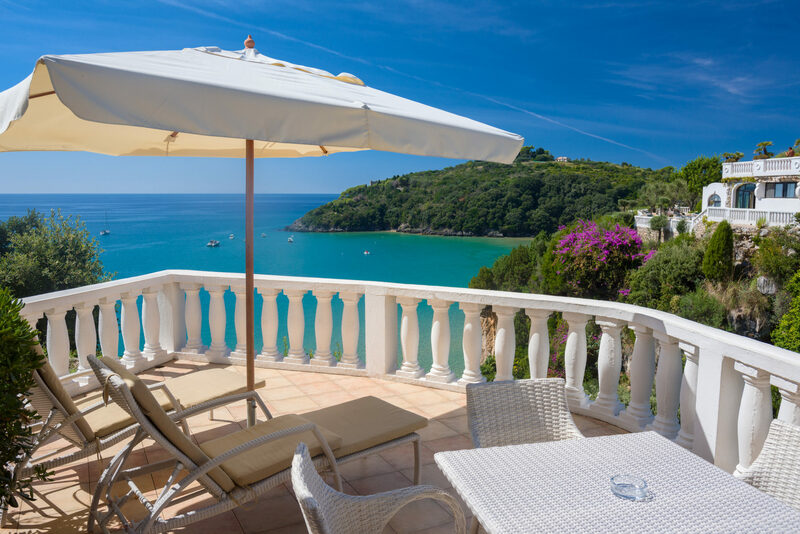 Fantastic view, unique private sandy beach. 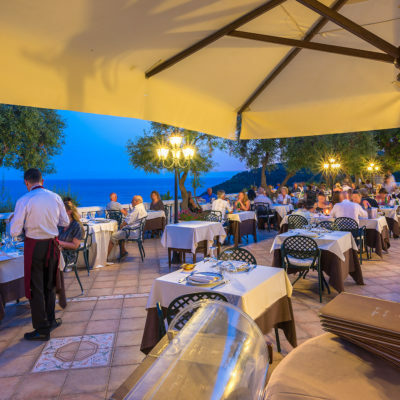 Don’t miss the restaurant, we had here some of our best dinners in all Italy. 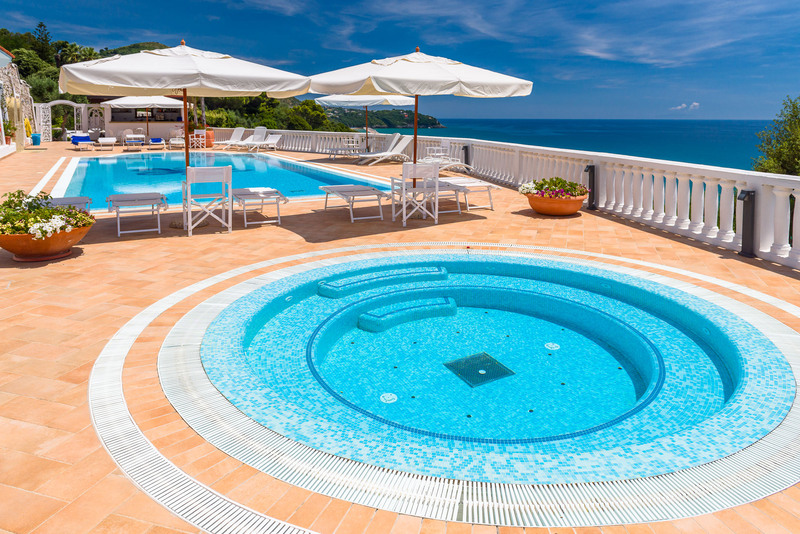 It’s hands-down the best hotel in Gaeta. 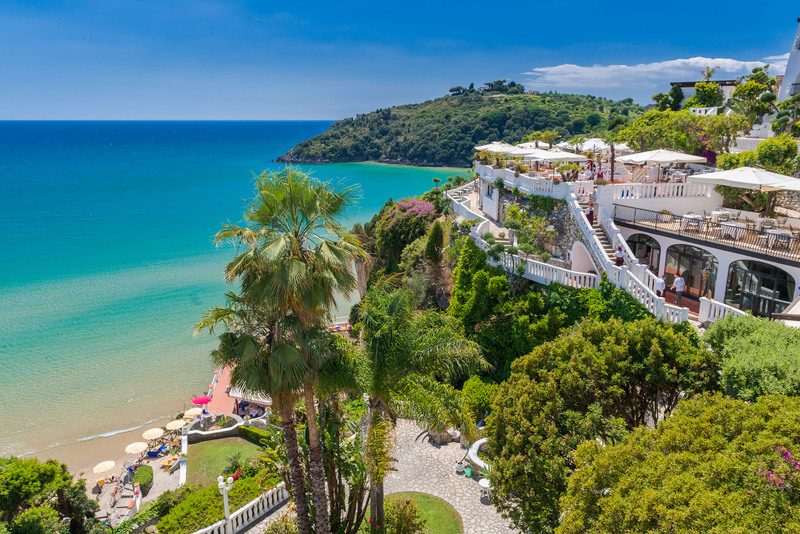 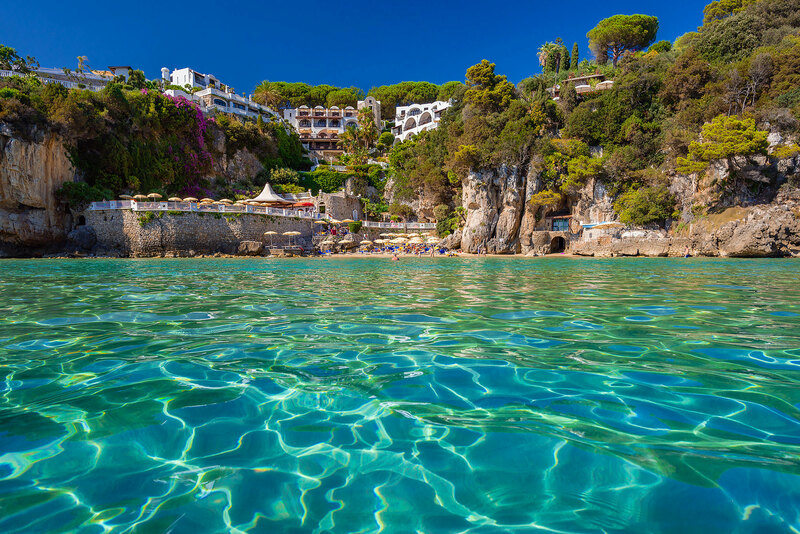 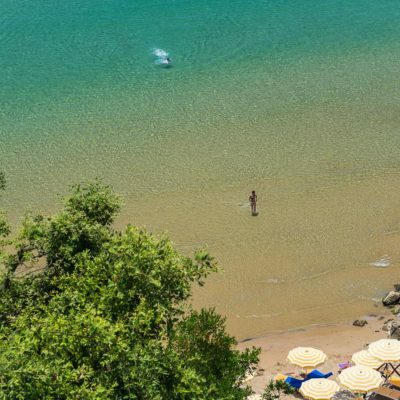 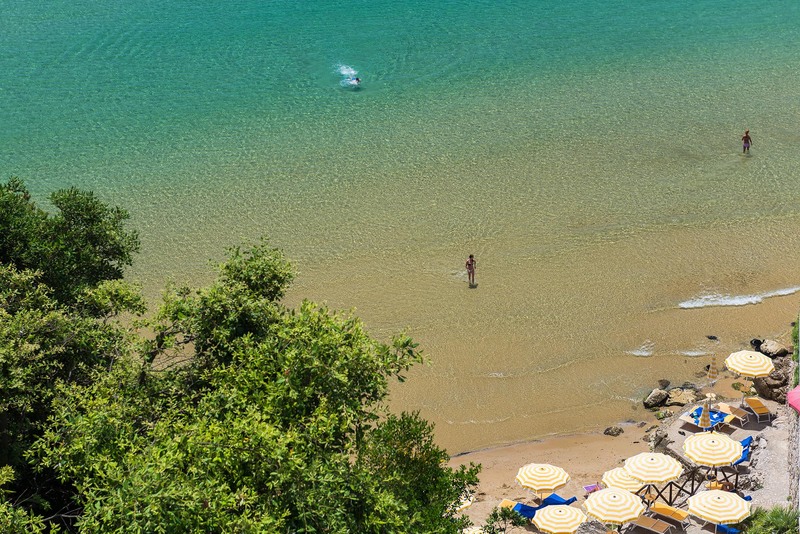 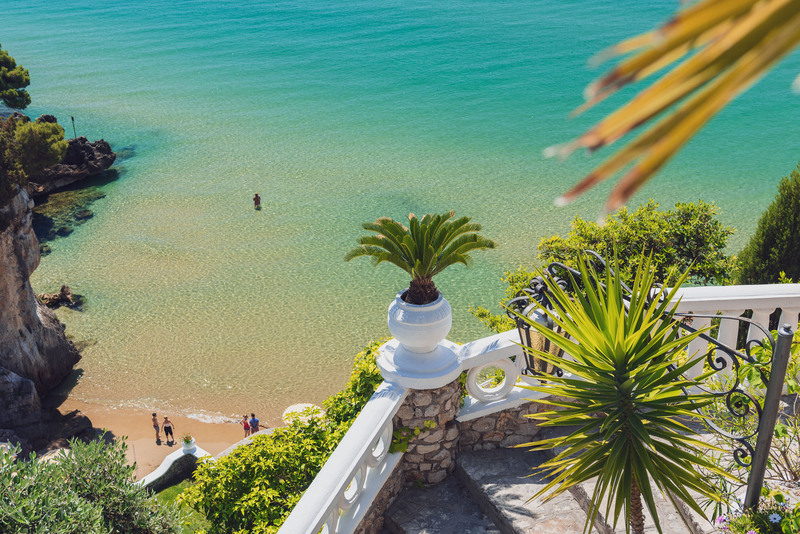 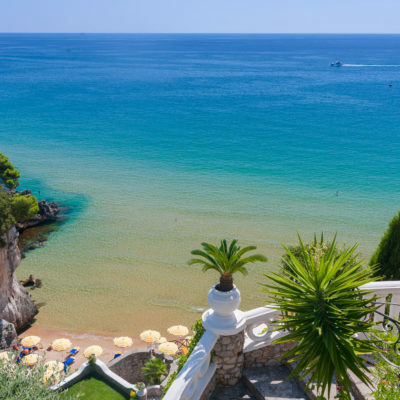 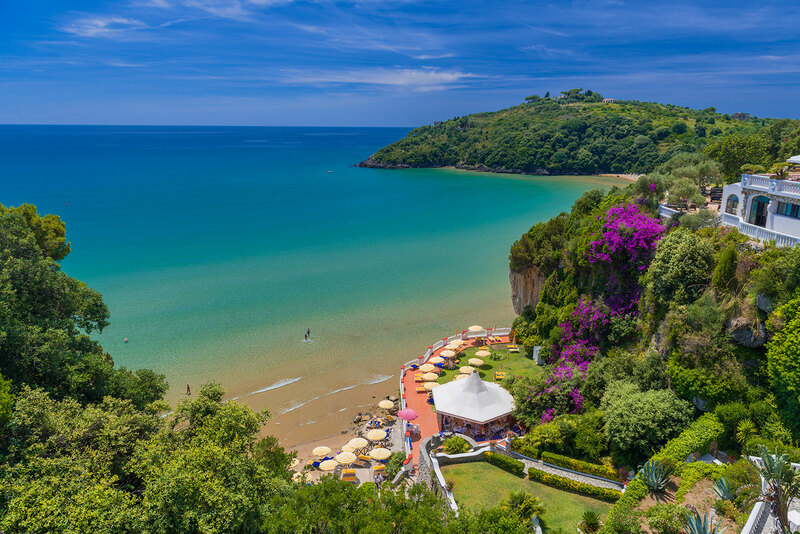 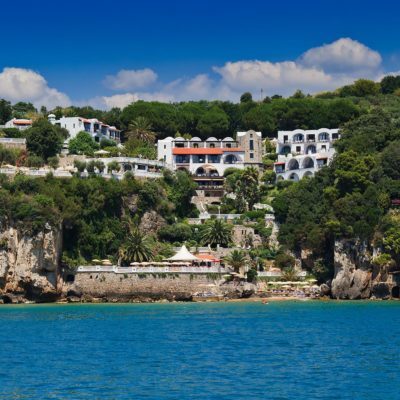 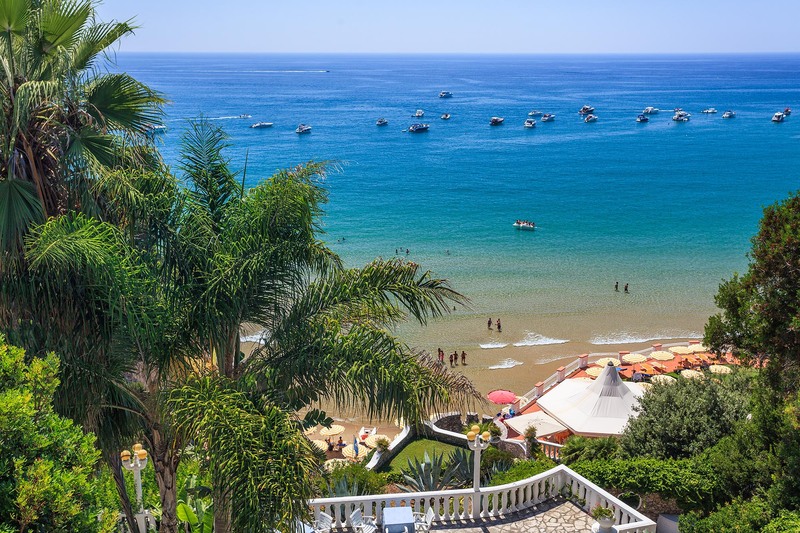 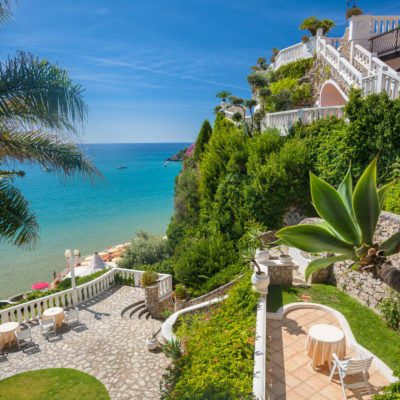 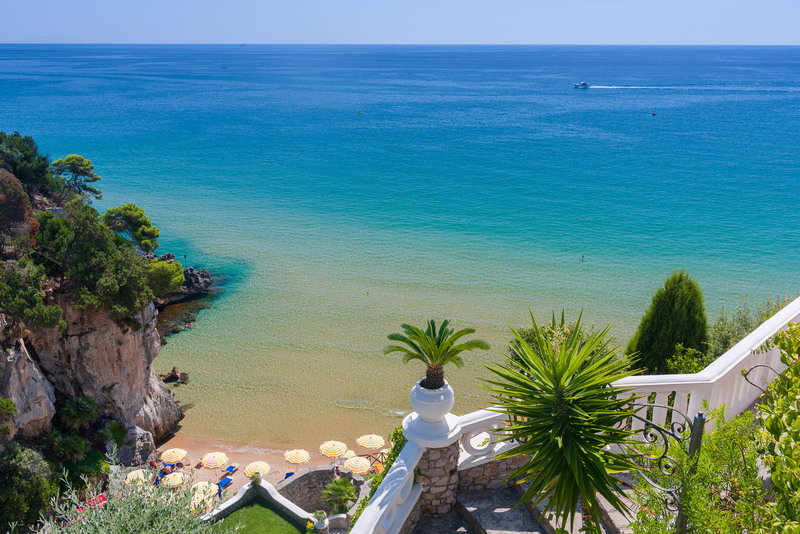 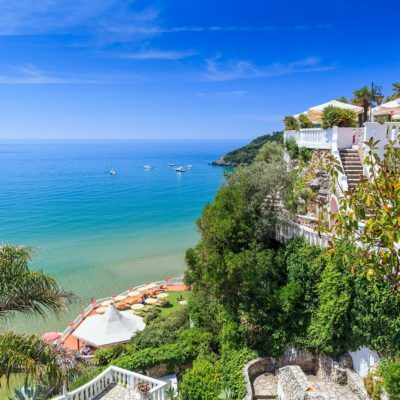 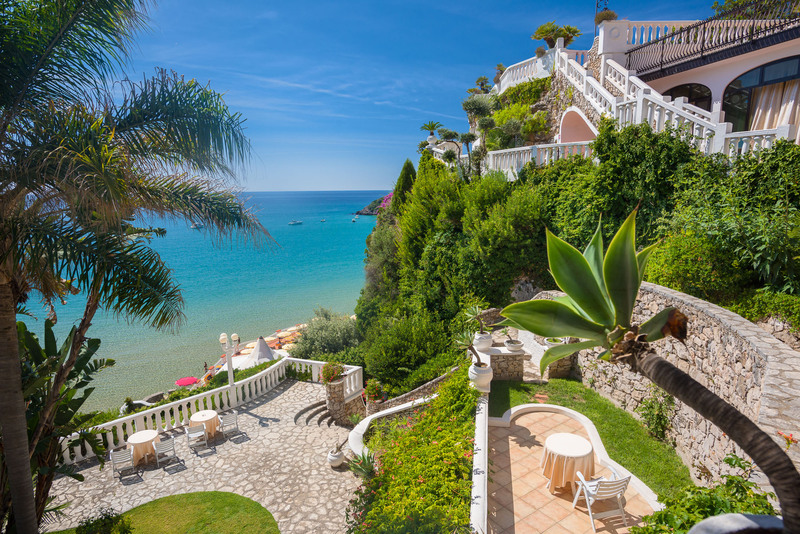 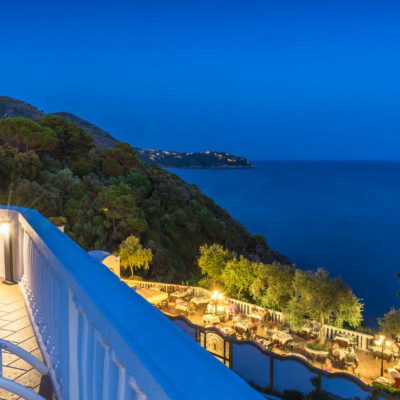 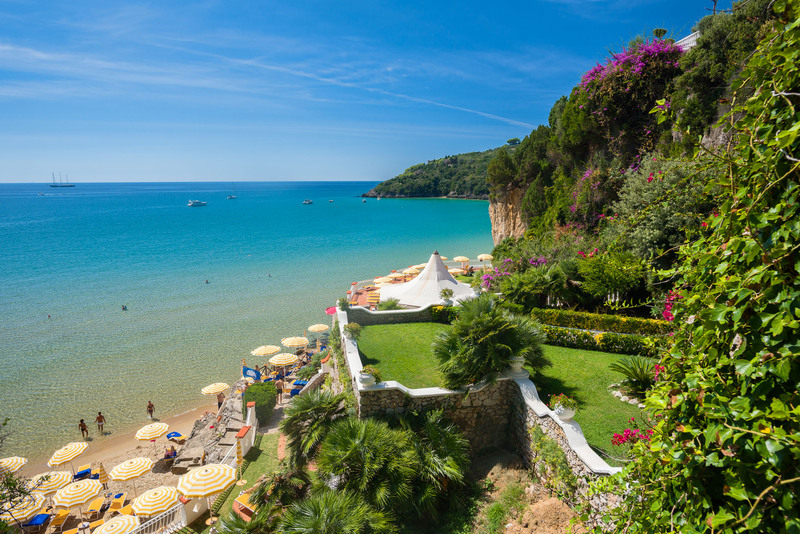 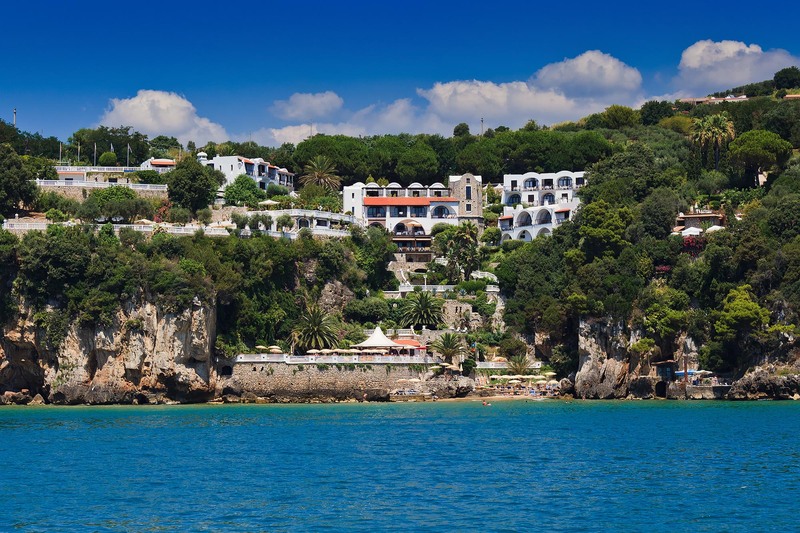 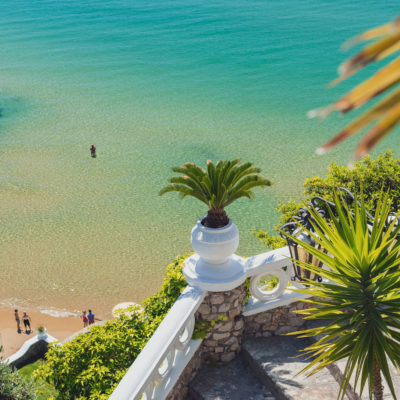 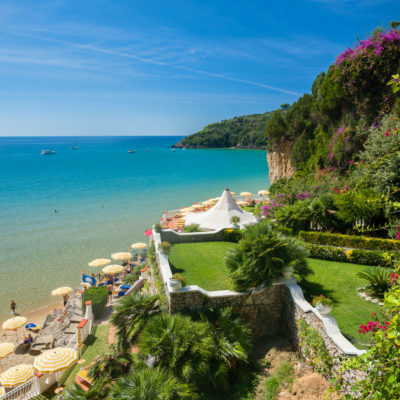 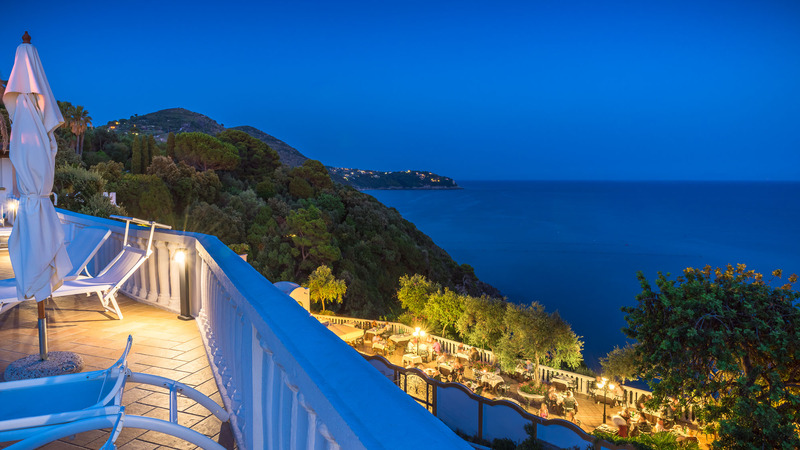 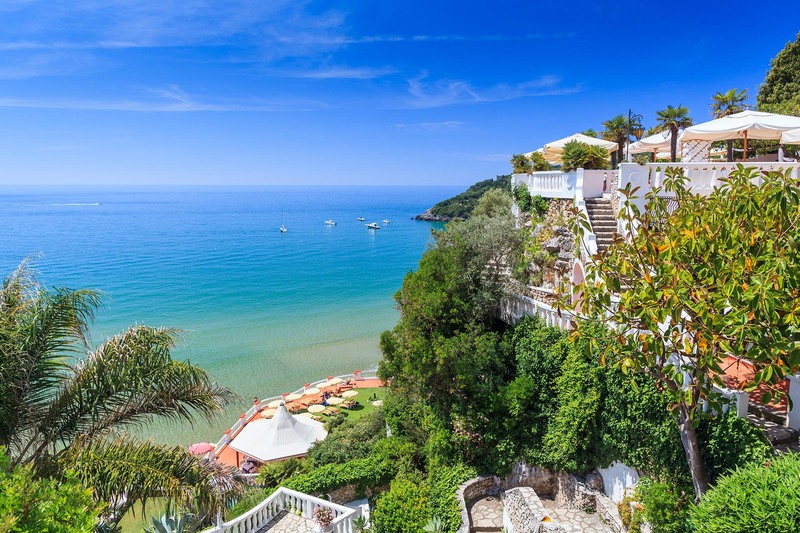 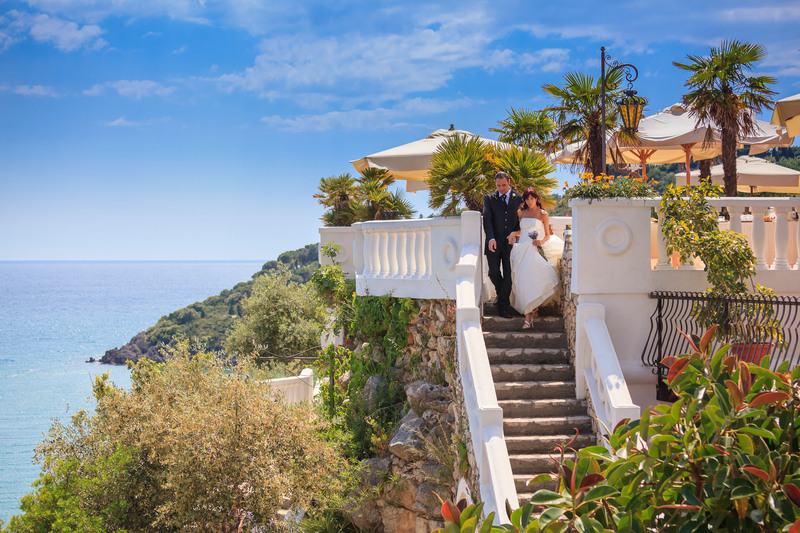 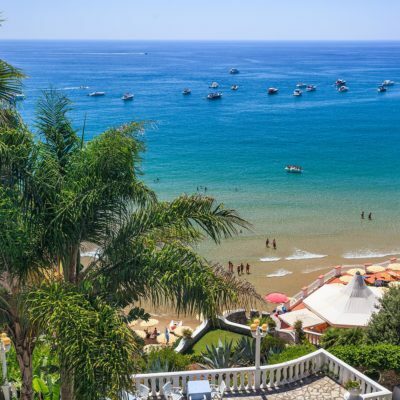 The hotel is located in the heart of the “mythical” Riviera di Ulisse, between Gaeta and Sperlonga, on the Latium coast. 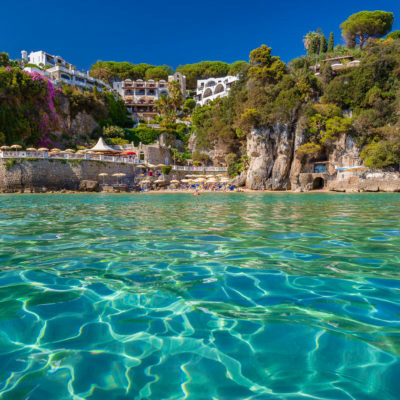 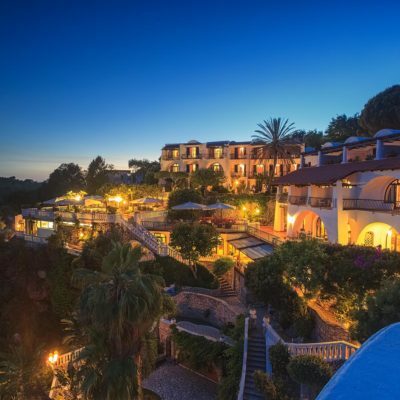 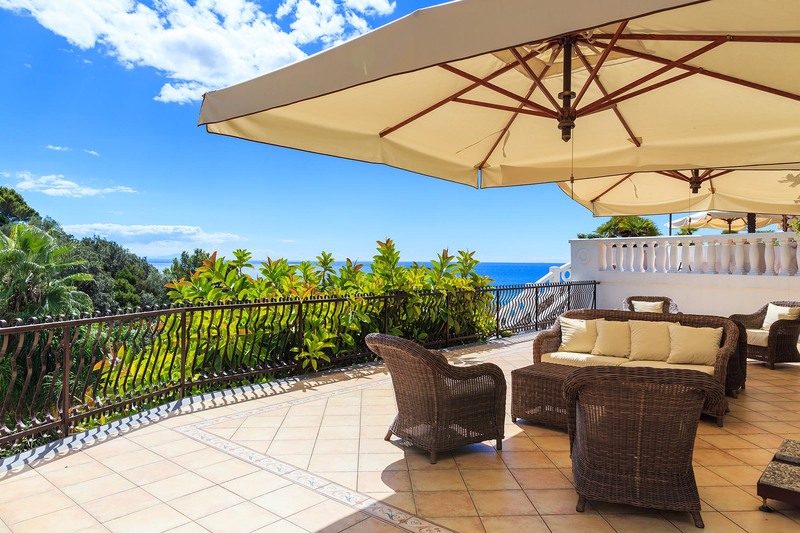 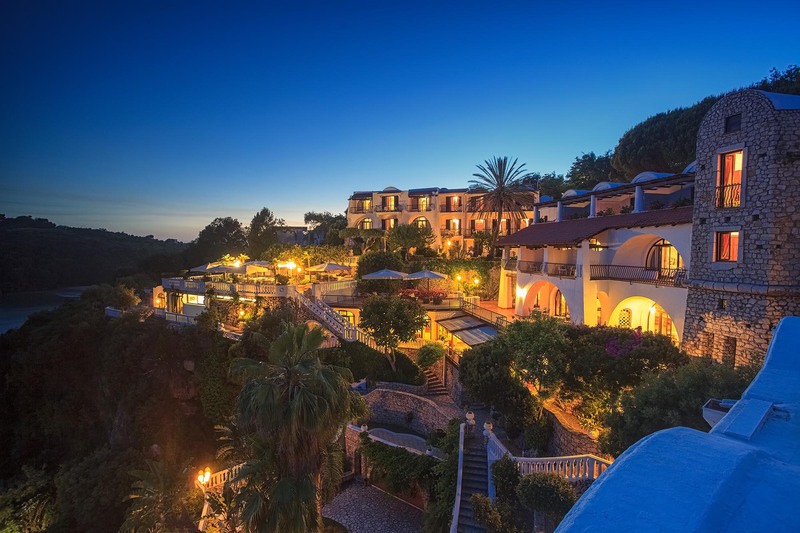 It is a great position if you want to visit some of the most prestigious Italian sites such as Rome, Pompei, Ercolano, the Royal Palace of Caserta, Montecassino Abbey or the islands (Ponza, Capri, Ischia, Ventotene). 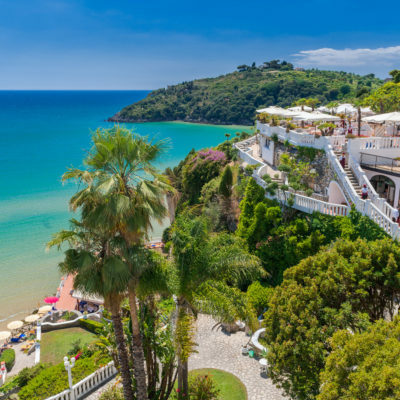 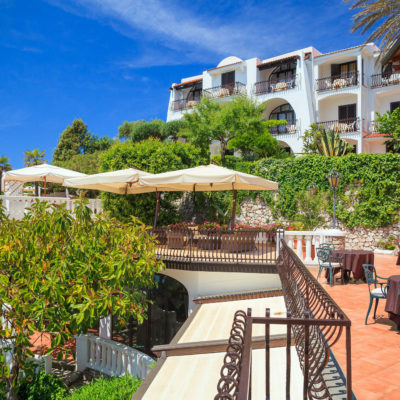 Gardens, tree-lined paths and terraces overlooking the sea characterize the hotel, which is nestled in a secluded inlet away from the hustle and bustle of city life. 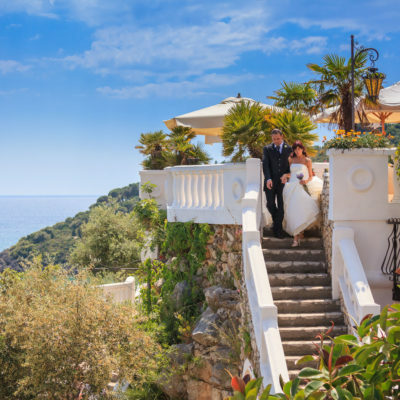 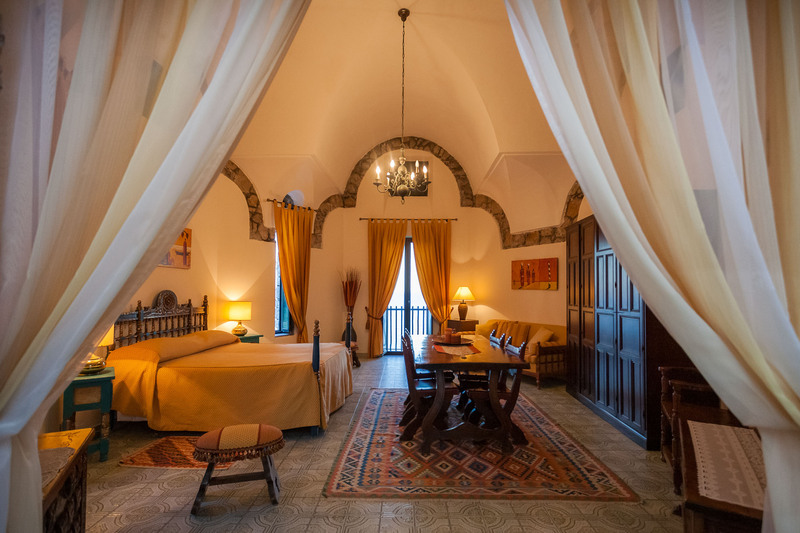 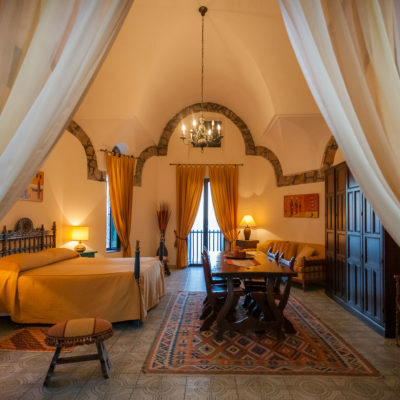 It is the ideal place for a romantic honeymoon, to celebrate an important event or, simply, to spend a relaxing holiday, contemporarily enjoying a delicious cooking. 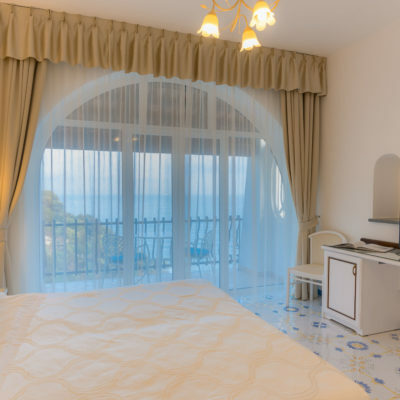 From the rooms, built in a semi circle around the bay, you will be able to enjoy a wonderful sea viewduring the day and a romantic moonlight during the night. 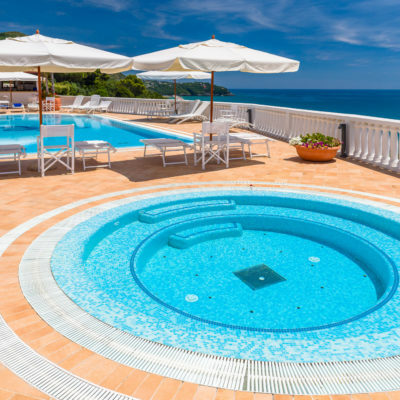 Our facilities: a private beach exclusively reserved for the hotel guests, a swimming pool with jacuzzi, a fitness area (with TechnoGym equipment) panoramic restaurants and snack bars open for lunch and dinner. 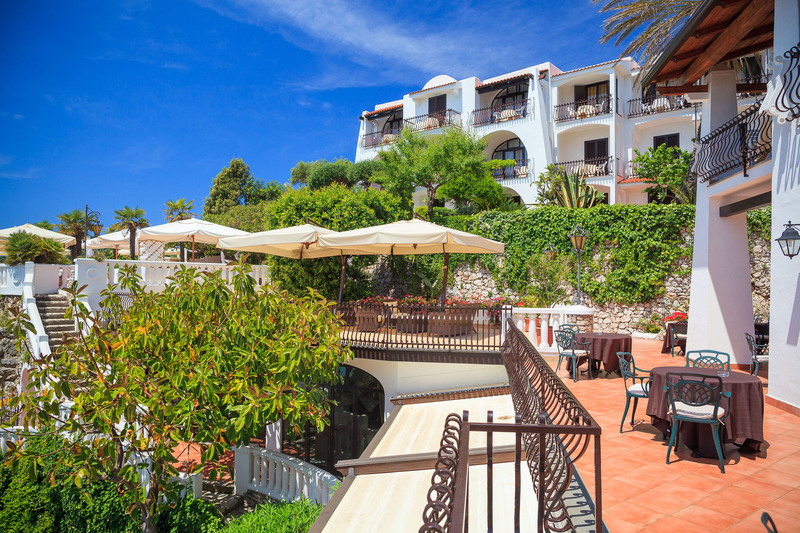 Free parking inside the hotel area is always guaranteed to our guests. 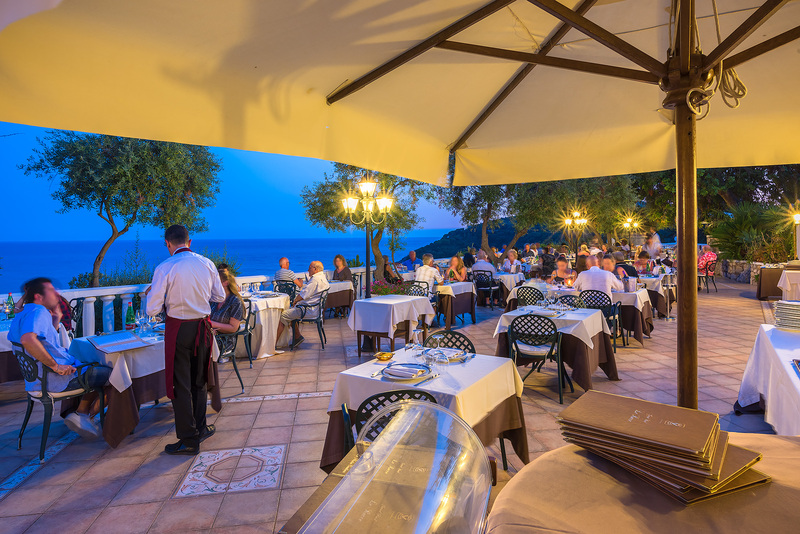 Our restaurant “ La Terrazza degli Ulivi ” is open everyday for dinner. 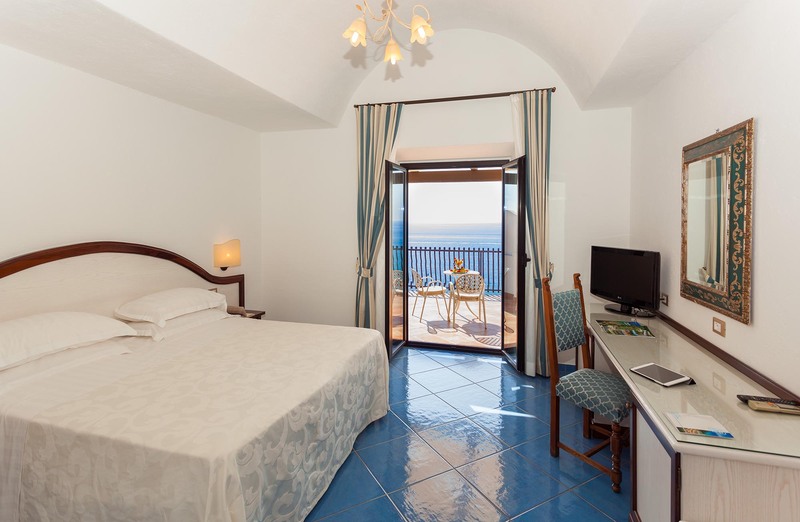 50 comfortable rooms are well equipped to meet the needs of our guests, offering the best value for money. 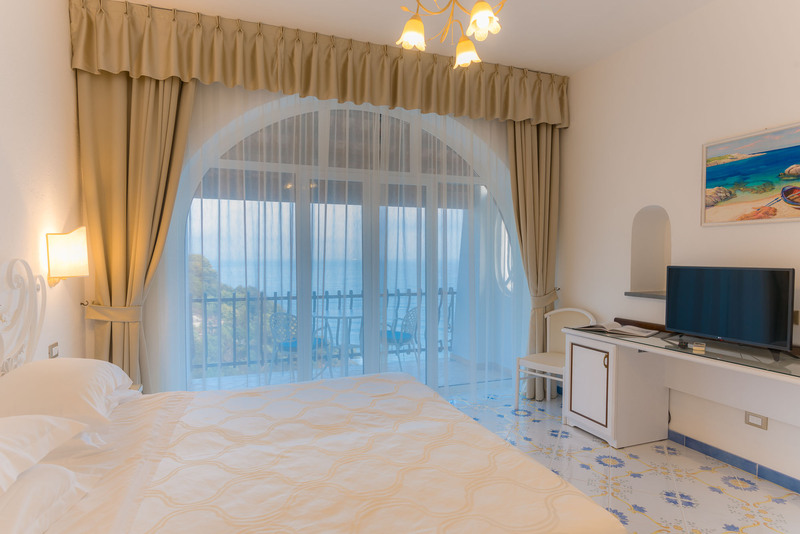 All rooms, except for the standard garden floor rooms, have their own balcony with a beautiful sea view of the bay.